Preheat oven to 100 °C and place a serving plate inside. Mix together all the ingredients in this order until just combined. Batter should be lumpy. In a pan heat 2 Tbsp oil on medium heat and pour in ½ cup (for medium sized pancakes) batter working in batches. Cook until bubbles appear on the surface (about 3 min), then flip over and cool for another 3 minutes. Place pancakes onto the plate in the oven to keep them warm and finish making pancakes out of the remaining batter. 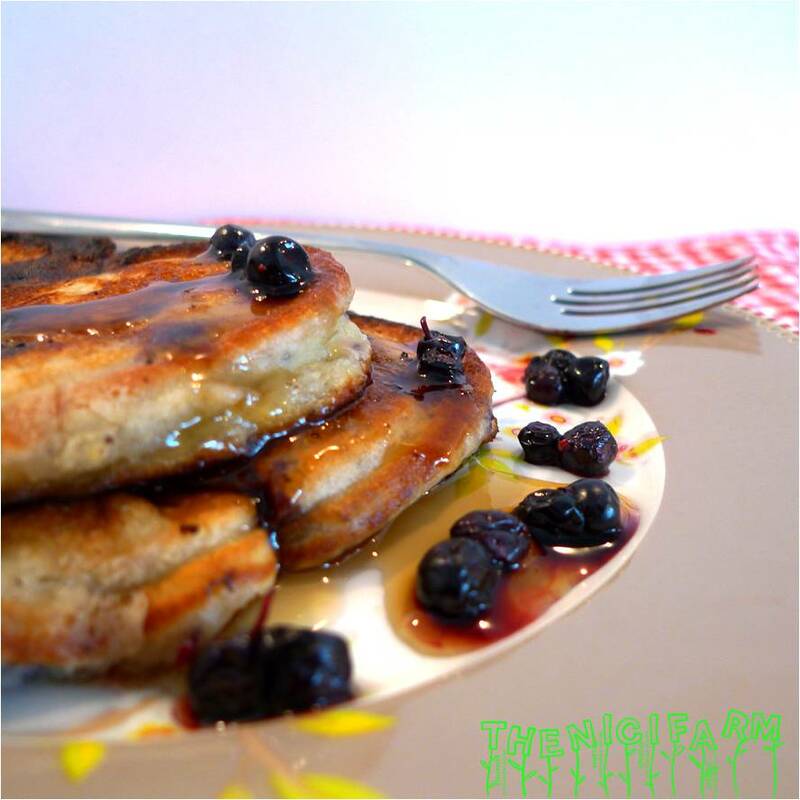 Top with additional blueberries, butter and maple syrup…. This entry was posted in Appetizers, Desserts, Yummy for my tummy.